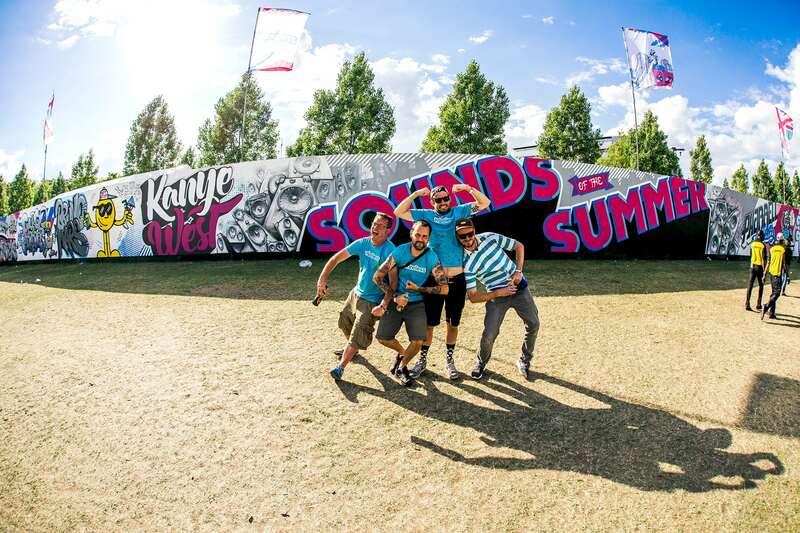 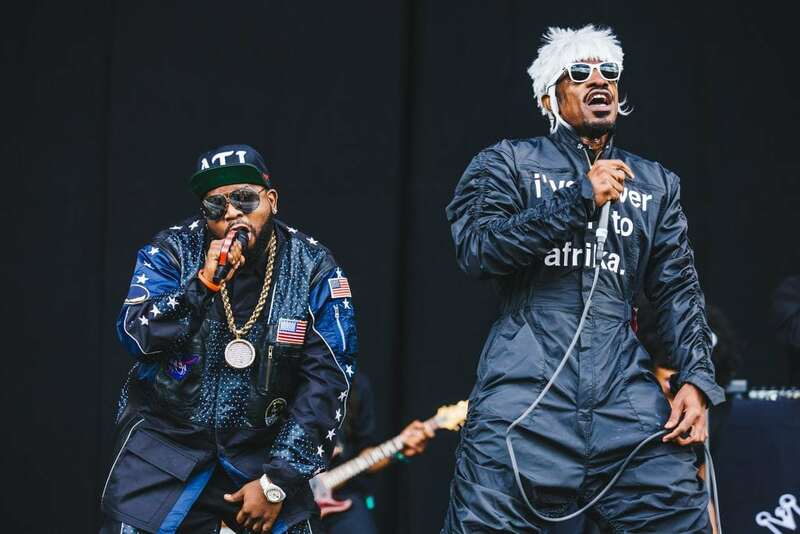 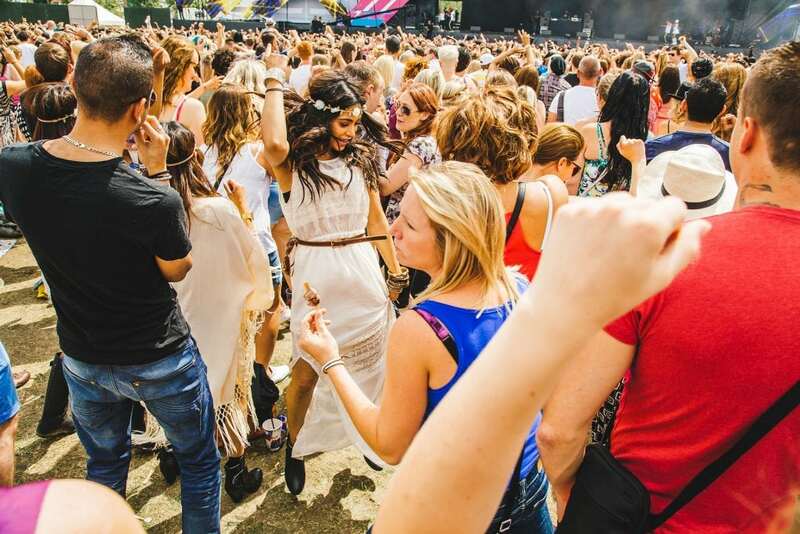 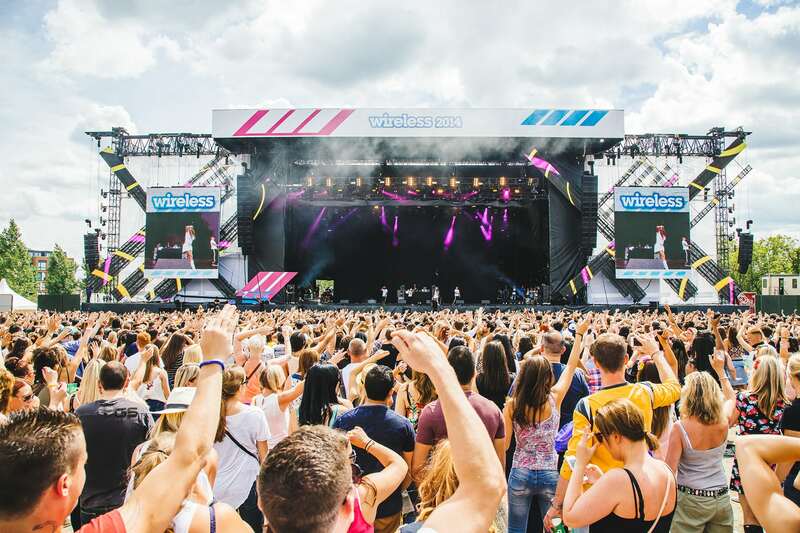 The Wireless Festival is one of Europe’s hottest music destinations to be seen at over the summer, with an electric line-up and killer headline performances that get the sixty thousand music fans partying hard. 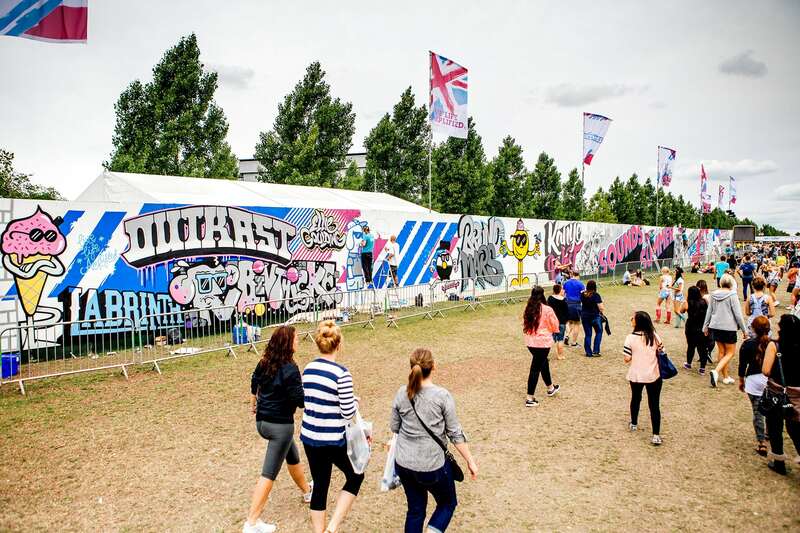 We were asked to create a huge graffiti mural that captures the energy, spirit and vibe of this amazing urban music festival. 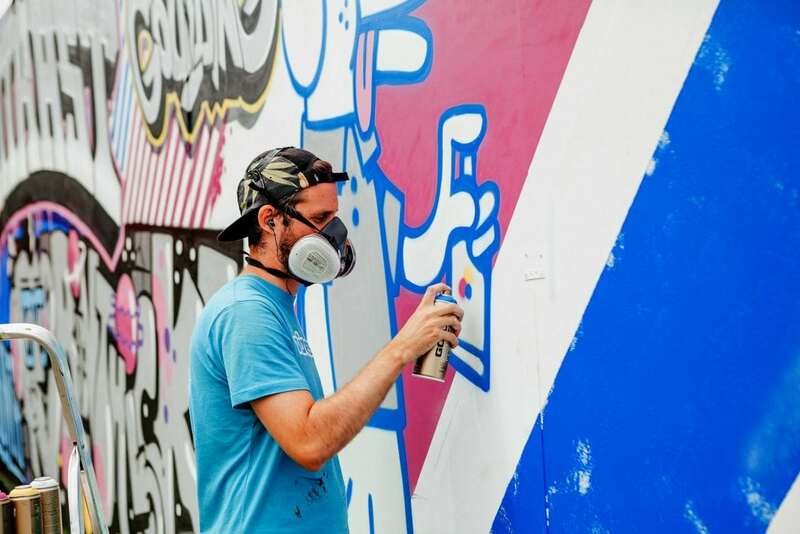 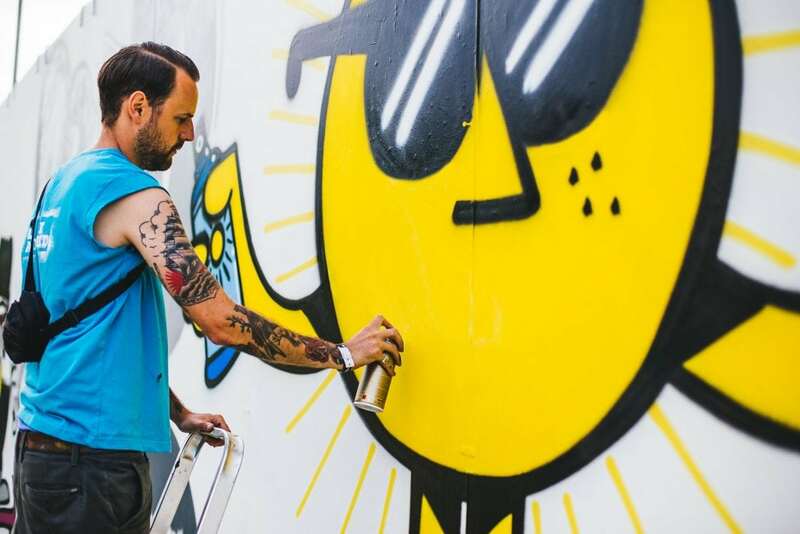 Over three days, eight Soulful artists painted the massive 3m x 73m graffiti mural at the main entrance in Finsbury Park, incorporating the bright colours synonymous with the Wireless brand. 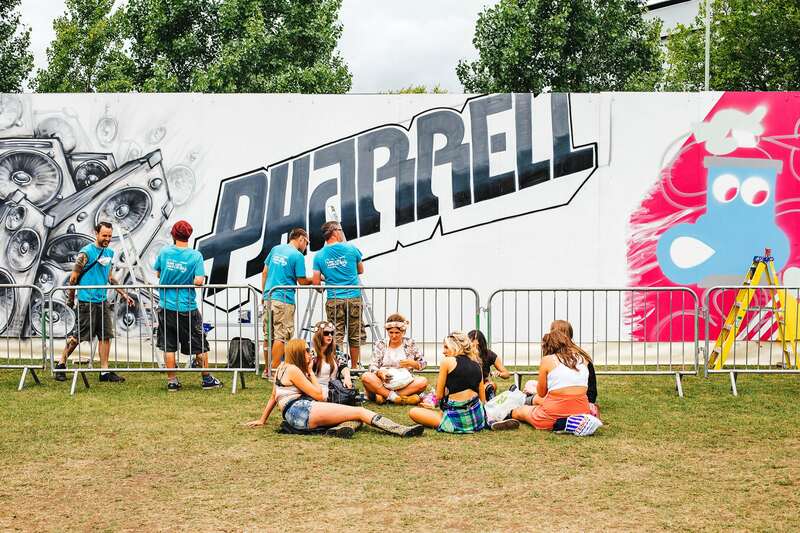 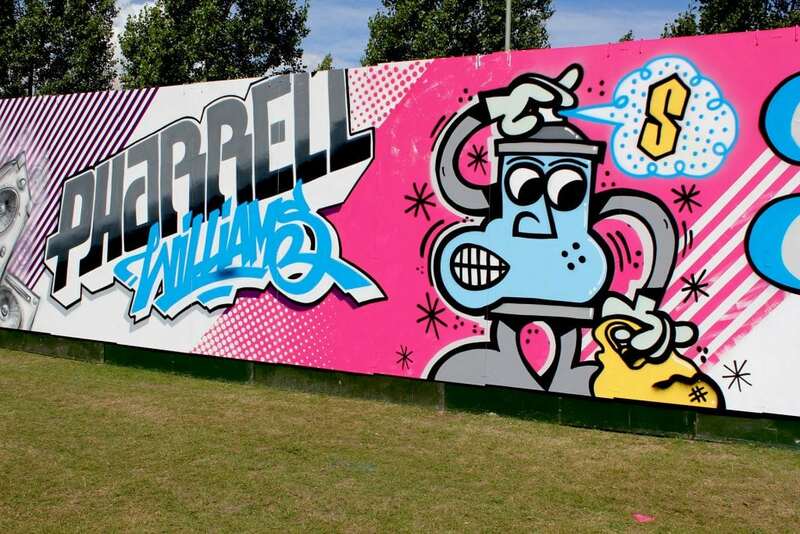 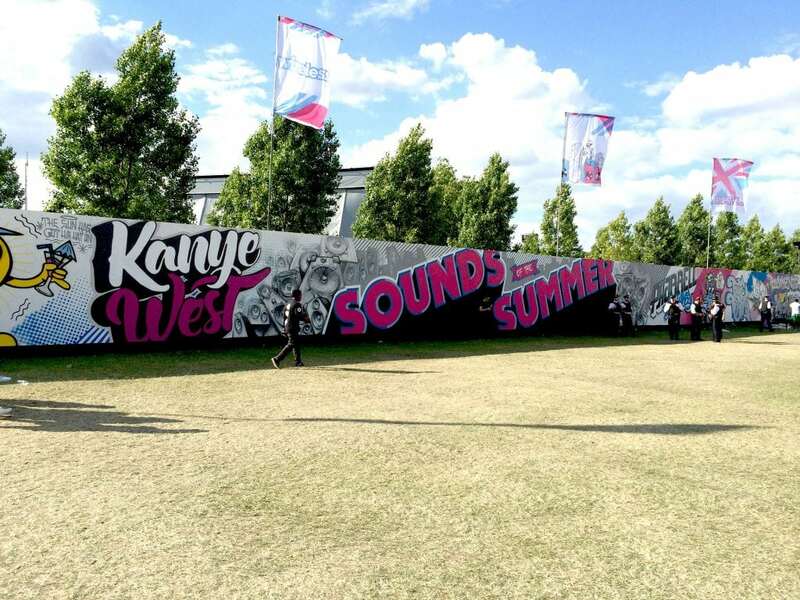 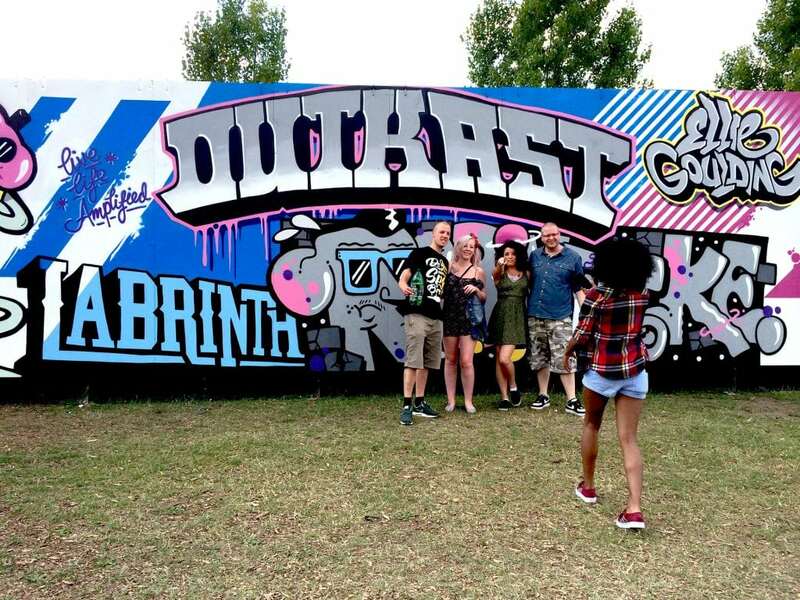 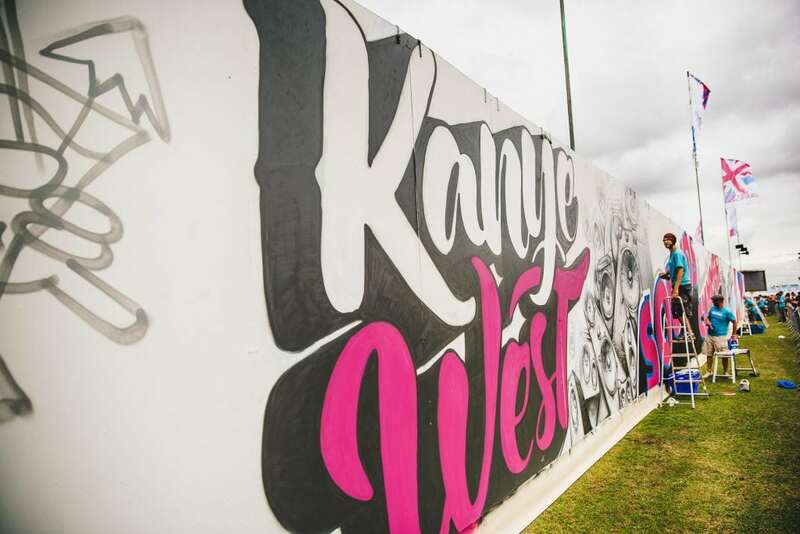 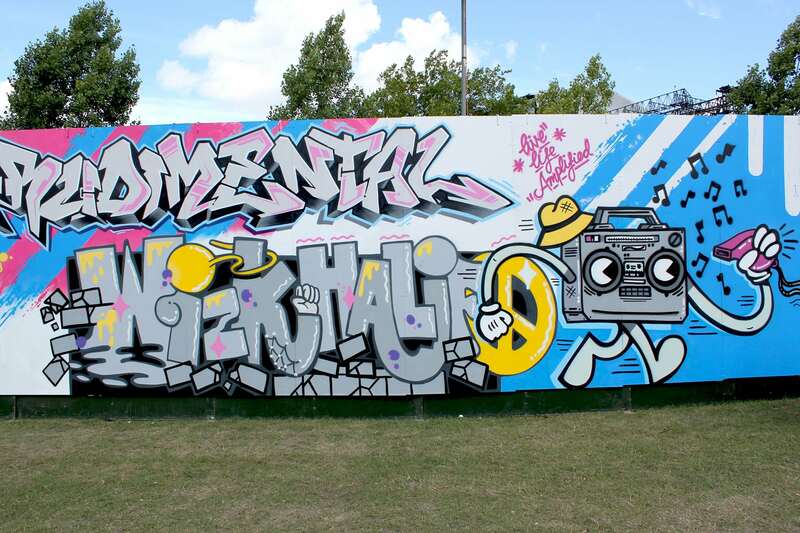 Kanye West, Pharrell Williams, Outkast and Tinie Tempah were some of the names captured within the mural, along with fun characters and speakers that surrounded the big bold letters “Sounds of the Summer’. 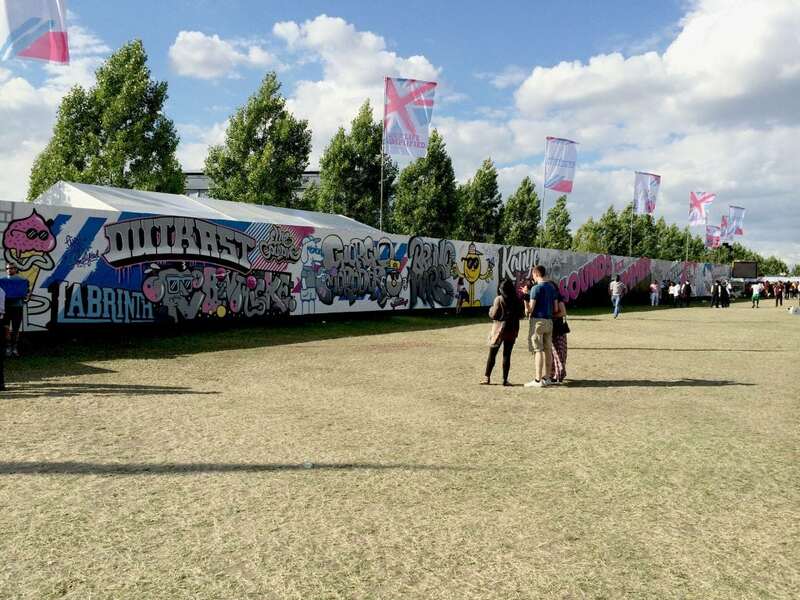 The huge mural was a real focal point for the crowds outside the venue – with much interest in what was happening and many a photo taken. 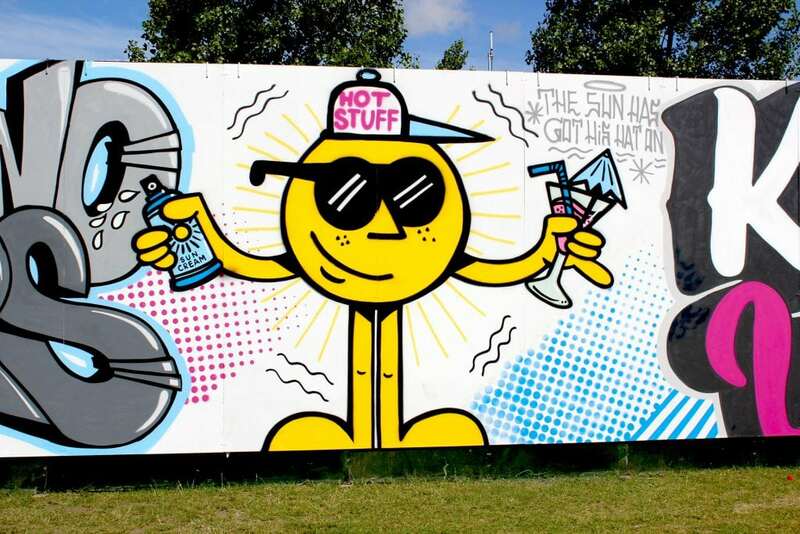 Photography © Rachael Wright, Andrew Whitton, Richard Johnson, Scott Salt.